The “Golden Years” for cats aren’t unlike those of humans. Things slow down a bit, the joints ache a bit more and the immune system doesn’t pounce back like it used to. Advances in veterinary science are helping cats live longer than ever, but caring for older cats requires an understanding of the unique needs of felines that — whether we’d like to admit it or not — are no longer kittens. November is National Senior Pet Month so we thought it would be appropriate to offer up some tips for taking care of cats that are getting a bit long in the tooth! Many cats begin to encounter age-related physical changes between seven and ten years of age, according to the Cornell University Feline Health Center. 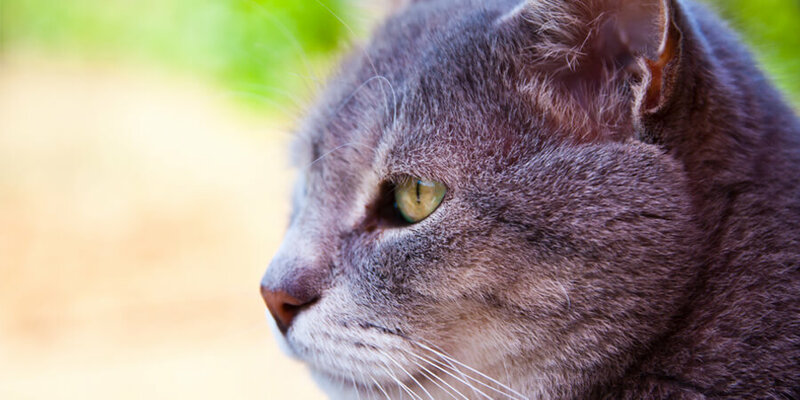 While cats of any age should have veterinary visits AT LEAST once a year, it’s important to note that more frequent visits might be needed as a feline gets older. Avoid simply chalking changes in behavior up to kitty getting old … it could be issues like heart disease, vision loss, arthritis, periodontal disease and other debilitating issues. 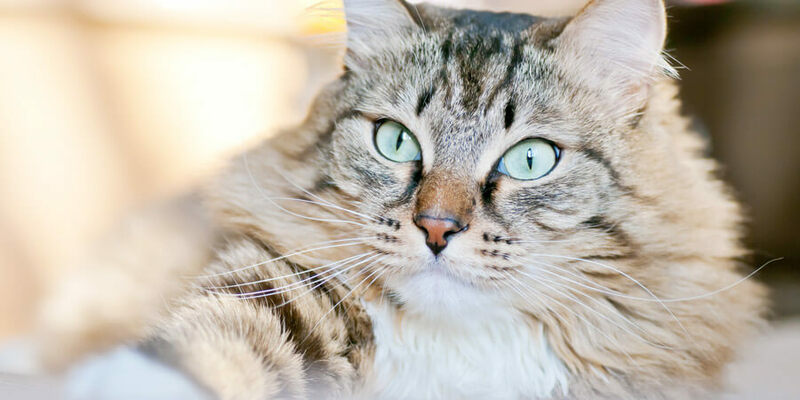 Here are three things to consider as you look to keep your cat feeling spry long after it has retired from its wild days as a kitten. Older cats often become less energetic. While it might seem normal for older cats to spend less time exercising, it’s important to engage older cats with regular moderate exercise. A little playtime can go a long way in preventing joint disease and promoting healthy muscles and weight. Not unlike humans, older cats can have a harder time getting around the home. What may have worked well in the past may no longer play to the needs of felines who have more trouble negotiating jumps on furniture, leaping up stairs and climbing into their favorite sleeping spot. Look around your house and make sure your older cat has proper access to its food, water and litter box! Finding a litter box with lower sides and placing it an easily accessible location, can help make sure your cat is more apt to go in the box. Need some insight into prepping the home for a senior cat? Learn how to prepare for a senior cat. A cat’s dietary needs may change as they get older with some senior cats being predisposed to weight-gain while others may have a propensity to lose weight. Heart disease, periodontal problems, kidney failure and other conditions may require special diets that cater to the needs of your cat’s aging body. Be sure to talk to your veterinarian about what foods and supplements best deliver the nutrition necessary for your cat to feel young long into adulthood! Here are some things to consider as you decide on a senior menu for your cat! Oh … and while we’re celebrating Senior Pet Month, why not consider adding an older tabby to your family? If you have the means to support them, an older cat can make a great addition to the family. Don’t believe us? Here are Ten Reasons Senior Cats Rule! Have your own senior cat? Have you made adjustments in your cat care? We’d love to hear about your experiences – post a comment below!